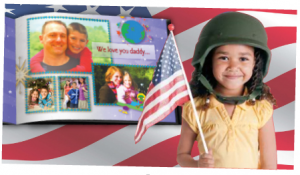 For those with family members or friends in the military, this is a great deal. Send your loved ones abroad a free 5″x7″ photo book from RocketLife. The book’s recipient can keep this with him or her through their entire tour as a reminder of the people waiting for him at home. Load and pictures and create your book! Enter the code you were given earlier at checkout to send the book for free! When creating your book, you can customize it yourself or use RocketLife do it for you. There are a limited number of books available, so jump on this deal quick if you want it.